wonderful actress. watched most of her works, and really think that she is talented. do check it out. but its just a one page site. She is an excellent actress, specially in joshiana and itazura no kiss.... Joshiana is a highly recommanded drama & she is so in it... can anybody tell me what she is doing now??? Shes a great actress and she plays her role well. 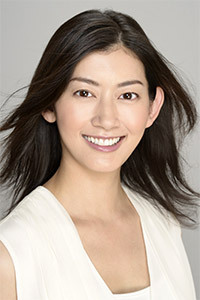 I've only seen her in Itazura na kiss but she really was great in it. Natural, unassuming, cheery and impossibly daring. And we share the same birthday. No wonder I like her! Daring acting in Itazura na kiss!! !